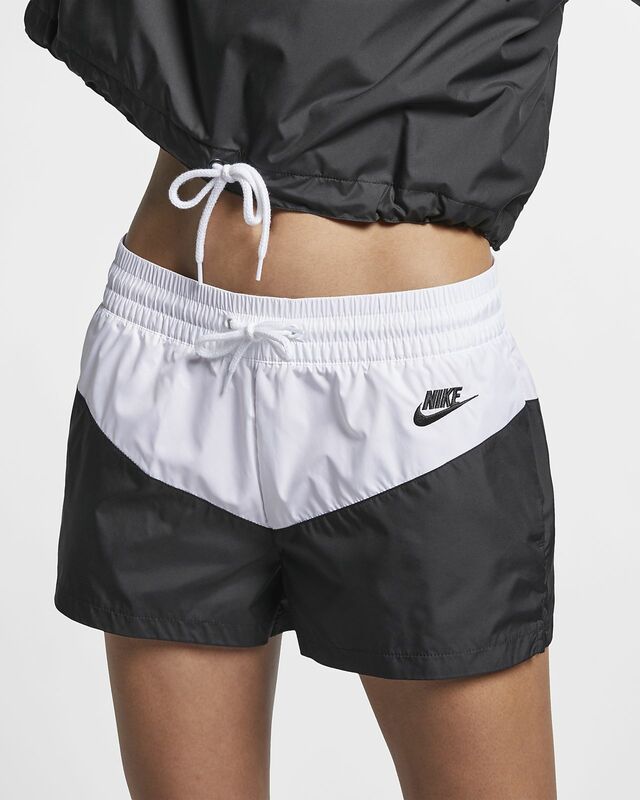 Make it memorable in the Nike Sportswear Heritage Shorts, a classic look with a fresh spin in woven fabric. A colour-blocked chevron design throws it back to Windrunner style, while an elastic waistband is adjustable and snug. WOVEN COMFORT WITH HERITAGE STYLE. Taffeta fabric feels soft and lightweight. Chevron design lines are inspired by the 1978 Windrunner Jacket. Mesh-lined pockets store your stuff on the go. Fabric: Body: 100% polyester. Pocket bags: 100% recycled polyester. Have your say. Be the first to review the Nike Sportswear Heritage.